Coming Soon to Regenerative Matrix! Click here to See our article in Cocoa Beach Lifestyle Magazine! Our mission statement at Regenerative Matrix LLC is to ensure that we assist you with aging gracefully without the use of pills or surgery. We are an anti-aging regenerative practice that employs only the best practices to promote healing and tissue regeneration. As we age, taking less pills and being active are extremely important for well-being and functioning. When you compare PRP against steroid injections or surgery you will find a longer lasting, natural and organic alternative from your own body which will speed up and promote healing with minimal to no down time, and which is minimally invasive. Cocoa Beach Regional Chamber of Commerce and the American Med Spa Association. our support to the Chamber of Commerce by offering silent auction items for their events. supporting the Brevard County Humane Society with a silent auction item for their August 25th gala. offering select "Qualifications Seniors Pro Bono Program" for an initial fee of $99 and then $50 a month for injections. being proud sponsors of the Merritt Island High School football team. being proud sponsors of the Candle Lighters Foundation. Platelet-rich plasma (PRP) is a concentrate of platelet rich plasma protein derived from whole blood, centrifuged to remove red blood cells. As a concentrated source of plasma, PRP contains several different factors that can stimulate healing of soft tissue and joints. The aging process is hard on joints. If you are tired of pills, shots or surgical intervention, then PRP may be for you. 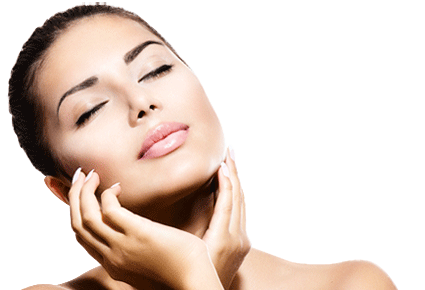 We offer Radiesse, Restylane Lyft, Juvederm, Dermagen, Botox, Aquashine and Princess Volumina treatments. Try one of our filler treatments to reduce fine lines, add fullness and restore your natural beauty. We offer Chemical Peels, HydraFacial™, our lunch-time peel, Vampire Facials, Vitamin C Facials, Venus Viva™ Skin Resurfacing, Microderm Facials, Face and Body Waxing, Eyelash Extensions, Eyebrow Microblading, Paraffin Wax Hand Treatment, Hair and Make-Up, and B12 Shots. All of our beauty treatments are designed to help you look and feel your very best. Phosphatidylcholine (PC) is the primary active ingredient contained in cosmetic injection products used to "dissolve" fat. When injected into the fat beneath the skin, it destroys fat cells, resulting in a noticeable reduction in fullness in the treatment area. Once destroyed, these cells can no longer store or accumulate fat, so further treatment is not expected once you reach your desired aesthetic goal. PC is an excellent choice for fat reduction in specific areas. Try our Doctor monitored weight loss program using Semorelin and join our Semorelin Club today. We also provide weight loss programs using HCG. See our exciting treatments for men. We provide PRP shots for men experiencing ED and hair restoration treatments for both men and women. Our goal is to help you find a better quality of life. See our About and Team pages for more information about our philosophy and team members. "Anna, you are so wonderful and so good at what you do! I was nervous to have things done to my face to thwart some of the natural aging process, but you made me feel very calm. I knew I was in good hands with you! You made my first time with botox, facial fill injections and your own neck line reduction technique feel as natural and painless as it could be! I will be back to YOU, because of that! Thanks again!" "I am so pleased with the results from the fat reduction PC shots around my knees. My legs have shape again!!" "I am 74 years old. I have done PRP now on my knees and shoulders several times and I have been skiing and hiking again. Thank you PRP." 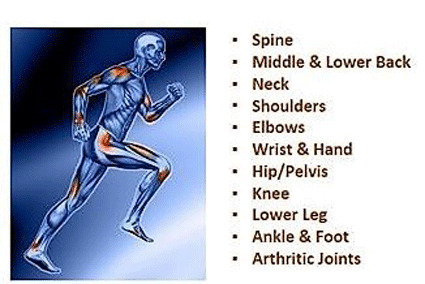 "I would recommend PRP from Regenerative Matrix to anyone experiencing joint pain. I’m very pleased with my results." "I have seen firsthand how well this works AND it’s all natural." "I can’t quit looking in the mirror I have so much confidence and I feel so pretty now!!!! Thank you Regenerative Matrix." "I have had Botox very satisfactorily done and have friends who are thrilled with the all natural PRP treatments they’ve had."